Please also select a seminar to begin the SHRM People Analytics Specialty Credential. Intended Audience: Individuals interested in earning a specialty credential that demonstrates foundational knowledge in the People Analytics landscape. 3. 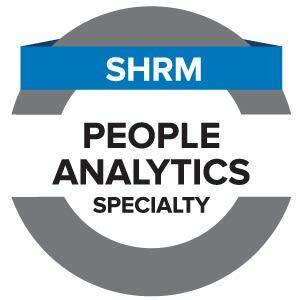 You do not have to be SHRM-certified to earn the SHRM People Analytics Specialty Credential; however, you will receive 22 PDCs toward your SHRM-CP or SHRM-SCP recertification for current SHRM certificate holders upon completion of the Specialty Credential Package. The 22 PDCs that you earn toward recertification when pursuing your SHRM People Analytics Specialty Credential will auto populate in your SHRM certification profile.